The winner in our leadership category announced today was Guy Dean of Albion Farms and Fisheries, based in B.C., Canada. Guy is vice president and chief sustainability officer of Albion Farms, and he has spent almost 30 years dedicated to seafood industry sustainability. He represents the seafood industry on the Monterey Bay Aquarium Seafood Watch Multi-stakeholder Committee and is also the co-founder of Sea Pact, a group of seafood companies committed to improving the social, economic, and environmental performance of the global seafood supply chain. A big congratulations to Dean and all the other Seafood Champions! 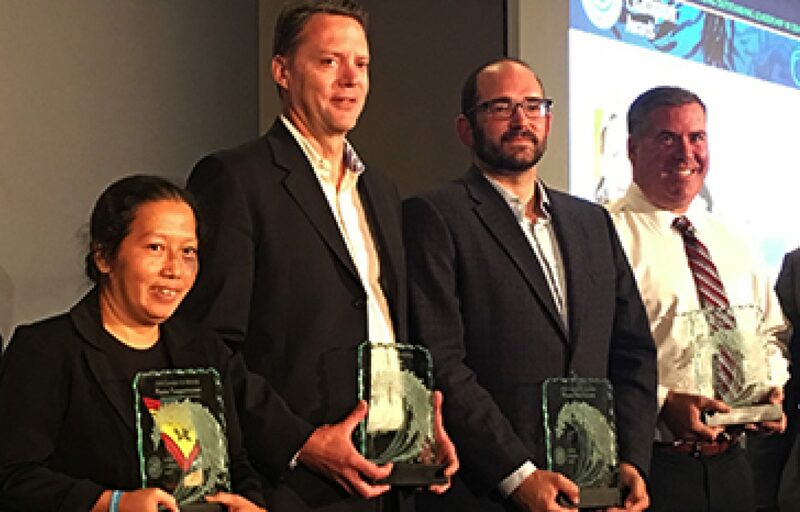 The 2018 SeaWeb Seafood Champion Award Winners. Congrats!